of what skin they do have . 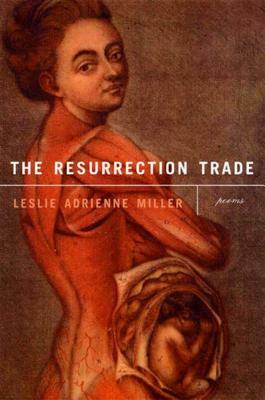 . .
"The resurrection trade," the business of trafficking in corpses, is an old trade, one that makes possible the art of anatomy and, as poet Leslie Adrienne Miller discovers, the art of her own book. Miller delves into the mysteries of early anatomical studies and medical illustrations and finds there stories of women's lives—sometimes tragic, sometimes comic—as exposed as the drawings themselves. These meticulously researched and rendered poems become powerful testimonies to women's bodies objectified and misunderstood throughout history. Miller's sensuous and harrowing fifth collection brings a new truth to what she calls "the strange collusion of imaginary science and real art." Leslie Adrienne Miller is the author of four previous collections of poetry, including Eat Quite Everything You See. She teaches at the University of Saint Thomas in Saint Paul, Minnesota.